The Piccadilly Pyjamas are a chic sleepwear set with oriental accents – a soft and open Mandarin collar and gently curving hems. 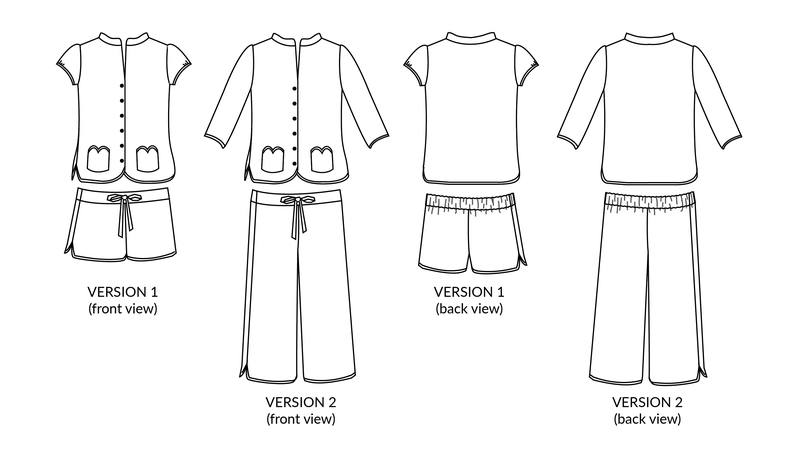 Version 1 consists of shorts and a cap-sleeved shirt; Version 2 of cropped trousers and a shirt with three-quarter length sleeves. The pyjama bottoms have a flat-front waistband with an elasticated back, finishing with a ribbon tie. Comfortable yet elegant, these pyjamas are perfect loungewear for those who like their comfies cool! Skill level: advanced beginner (techniques include bias binding, attaching a collar, inserting sleeves and making buttonholes). 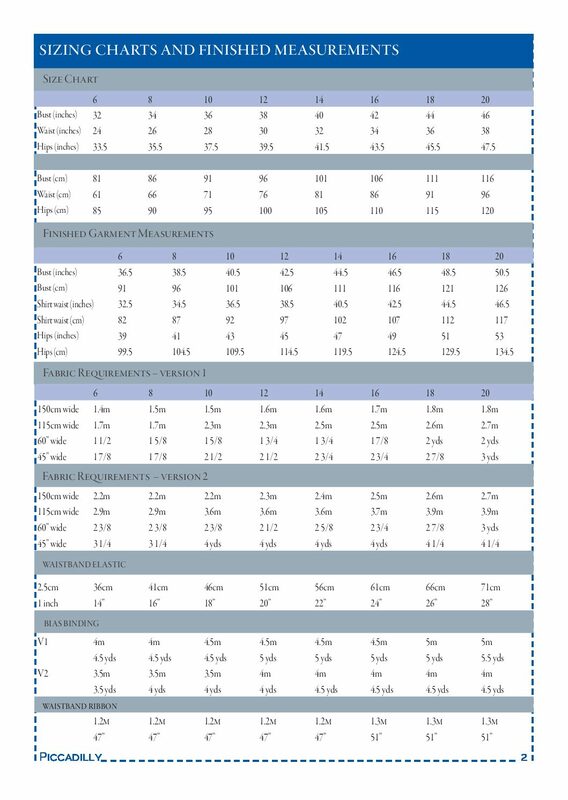 NOTE: This is a PDF pattern. 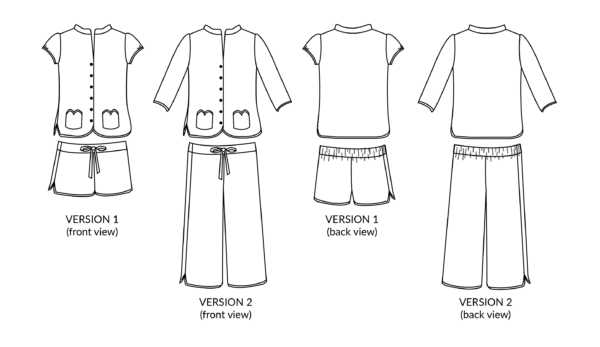 The printed version of the Piccadilly Pyjamas is available here. Piccadilly is best suited to soft, lightweight fabrics that will feel good against your skin: e.g. cotton lawn, rayon, silk satin.